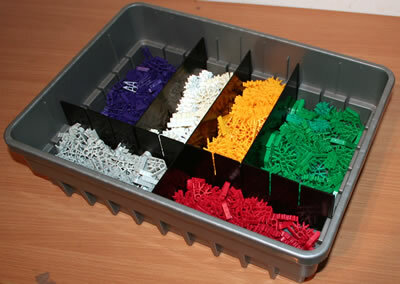 The One-off K'NEX parts below are available in one or more current K'NEX sets, but are not for sale as individual parts. 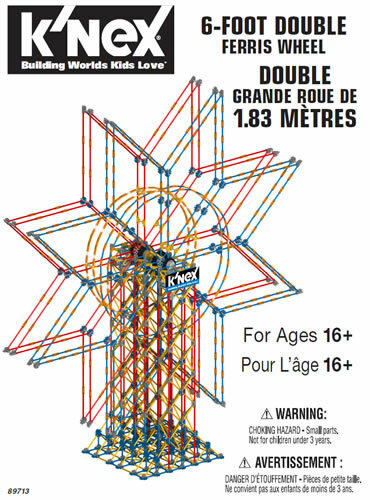 Click on any image to view further details, or view current One-off K'NEX parts. 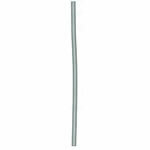 As used in Loopin' Lizard, Big Air Ball Tower, etc. Colours may vary. As used in Turbo Bot, Construction Crew etc. Connects two of the 20252 Track section. Colours may vary (Brown, Grey, Blue, Orange, Red or Yellow). Colours may vary (Orange, Red or Yellow). 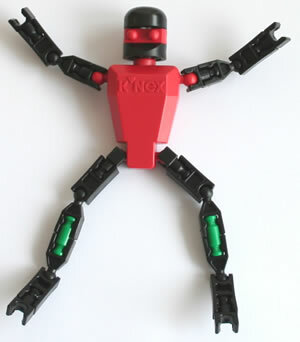 As used in Mighty Makers sets.